"The name of the recipe may sound odd, but it is fantastic! My husband and I love to make this for breakfast on lazy weekends. Serve with syrup." 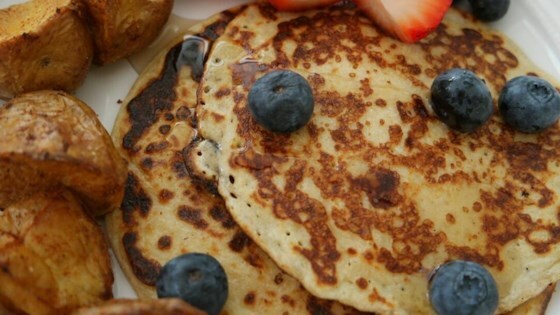 Yummy pancakes packed with protein and lower in carbs. I will never make this again. So fluffy and delicious. It's also high in protein and low in carbs. Next time I will substitute ground rolled oats for the flour.